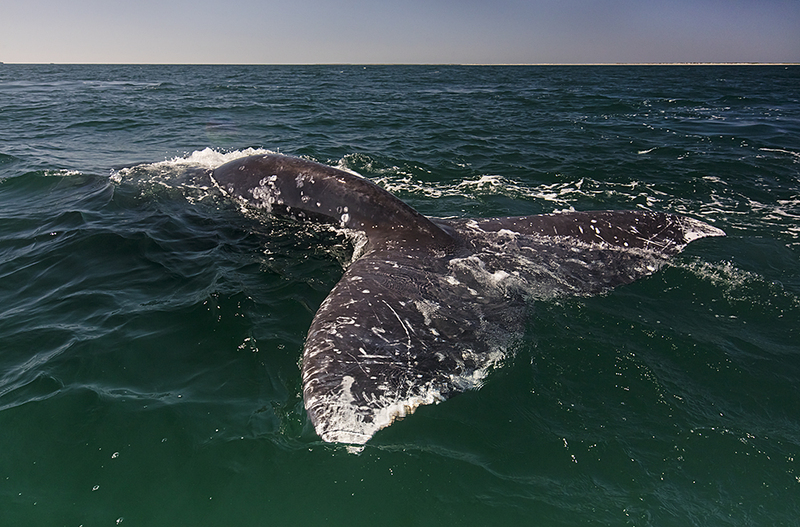 Gray whales have arrived in Baja California! 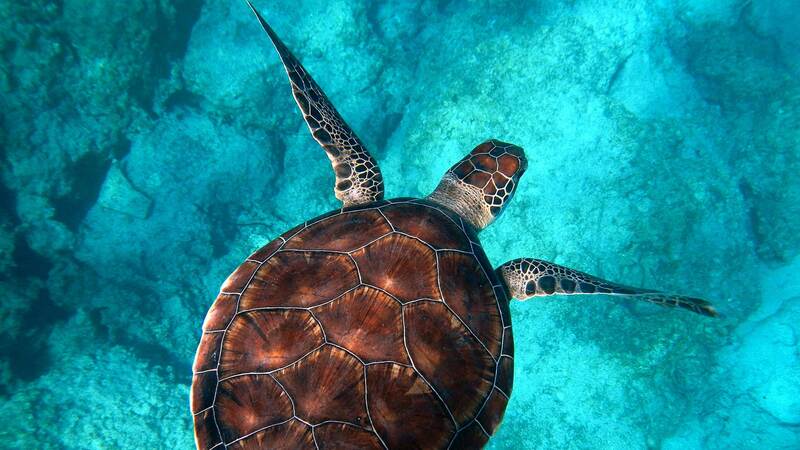 Every winter these marine mammals visit the lagoons of Ojo de Liebre, San Ignacio and Bahía Magdalena to reproduce and give birth. 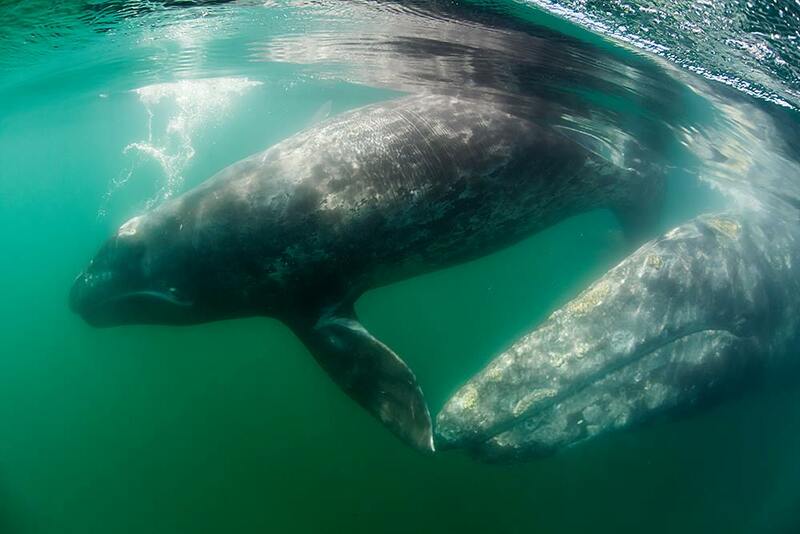 Over the past 15 years, WILDCOAST has worked diligently to conserve gray whale habitat, train local whale watching guides in proper management techniques, and even help boat operators obtain less polluting outboard engines for their skiffs. During their stay in the lagoons of the Baja California peninsula, whales are visited by thousands of tourists each year that want to get a glimpse of this majestic leviathans up close. Unfortunately, sometimes the desire to get close to whales, can sometimes stress the animals. 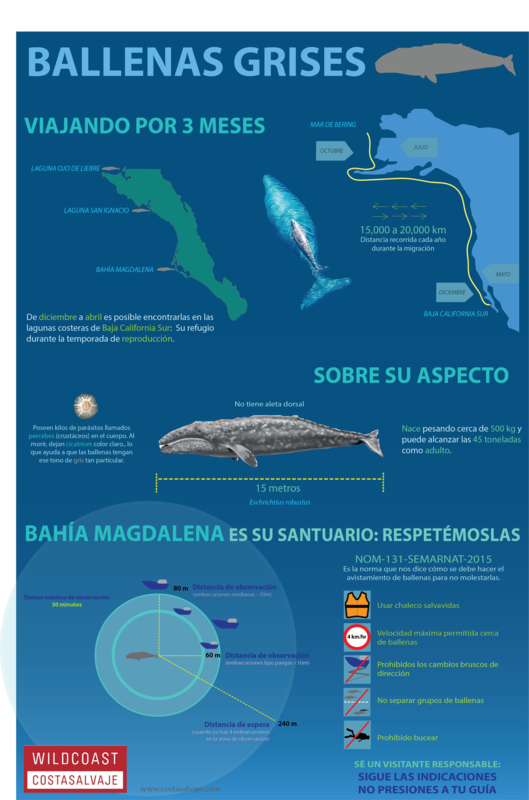 Therefore, in response to the growth of whale watching in Baja and in an effort to reduce impacts to these marine mammals, the Mexican government stablished strong whale watching guidelines (NOM- 131-SEMARNAT-2010). These guidelines are not only to regulate sightings, but to also promote the conservation of whale species, including the gray whale. The main rules for gray whales watching according to NOM-131-SEMARNAT-2010. Poster designed with the support of students from the local high school of Puerto San Carlos, Magdalena Bay, Mexico. 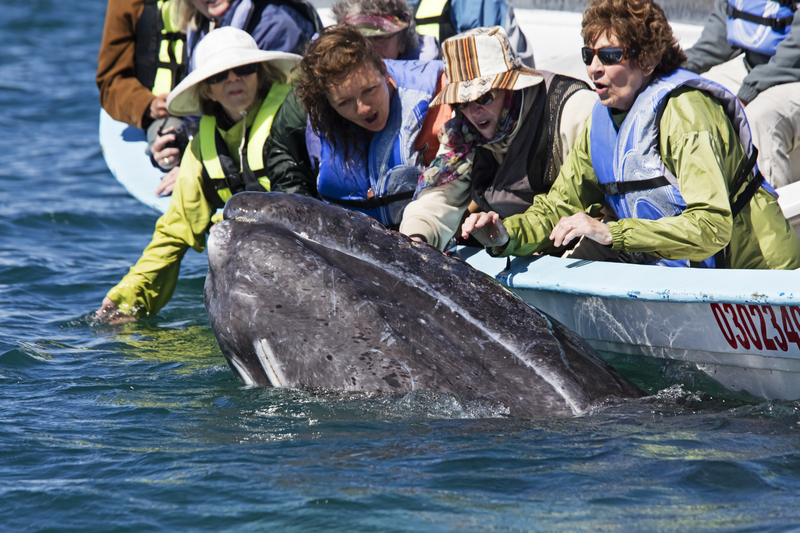 Although the guidelines are directly for the whale watching providers, it is also the responsibility of tourists in Baja to ensure that their guides comply with these standards. How can we support local whale watching providers? Authorized local whale watching guides in Baja receive training on “good sighting practices” to obtain their federal permits. Most local operators have a lot of experience in the field and are very respectful of the regulations. Therefore, whale tourists should help to verify that guides comply with rules and not not pressure him to break the rules. Therefore, it is important for us to be aware of good whale watching practices. Verify that the whale watching guide has the proper permit given by SEMARNAT (Secretary for the Environment and Natural Resources). Ask the operator to inform fellow passengers on proper etiquette during the trip. Verify that the guide does not harass the whales, by driving the boat at a low speed and allowing the whales to get near the boat, not the other way around, while not obstructing the whale’s passage. DO NOT PRESSURE the boat operator to get close to the whale, especially if there are more boats around the whale. The boat cannot get closer than 60 meters from the whale. If you are lucky enough to have a whale get close to your boat, the motor should be in neutral. Do not fish, swim, dive and or water ski in the whale lagoons during whale watching season. Ask your guide to please leave the area if you see that the whale makes evasive swimming, sudden changes in speed or direction, more prolonged dives, and if there are any interruptions in feeding, breeding, or mating. We know that we all want to get that close-up photo with the gray whales, but do not get carried away by all the wonderful pictures of kids and adults kissing and touching the whales. It is very rare for tourists to get that close to a whale. 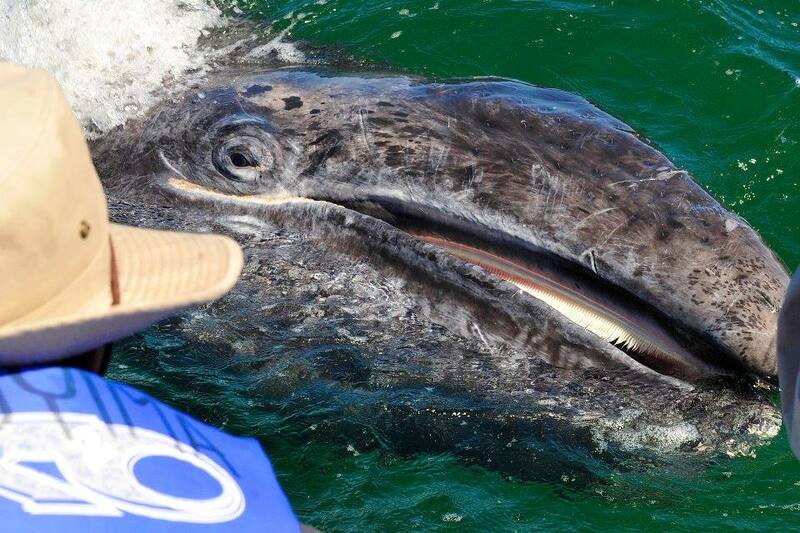 If you are lucky, a gray whale might reach out to your boat on its own, only then will the service provider be able to tell you if it is okay to touch the whale. Pressuring your guide to get close to the whale could not only hurt the whale, but could also hurt the business of the whale watching provider because they can have their permits taken away.